The urinary tract has vital and complex roles in homeostasis, excretion and haemotopoiesis. As diseases interfering with these functions are commonly seen in small animal practice, the BSAVA Manual of Canine and Feline Nephrology and Urology will be invaluable to veterinary surgeons in achieving a better understanding of the logical approach to the diagnosis and treatment of these problems. 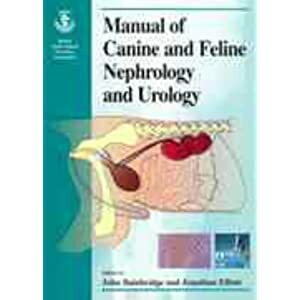 The Manual, which concisely reviews the nephrology and urology of the dog and cat, is laid out in three sections. The first section deals with common presenting problems and encourages a careful considered approach, which gives the best chance of eliciting the correct provisional diagnosis. The second encourages the application of good diagnostic techniques to allow accurate confirmation of that diagnosis. The final section describes the management of diseases of the kidneys, bladder, urinary tract and prostate gland, regularly seen in veterinary practice.